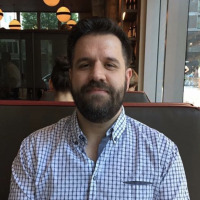 If you just can’t see the point of the desktop Gadgets included in Windows 7, or even the Sidebar gadgets in Windows Vista, you’ll be happy to know that you can easily disable them with a simple configuration change. 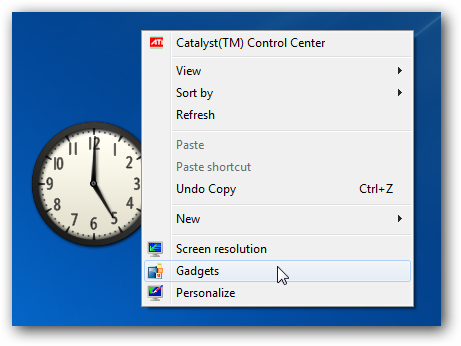 If you are really, really new to Windows 7, the gadgets are accessible via the desktop context menu, and can be dropped anywhere on the desktop you’d like. 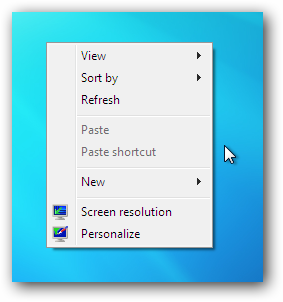 Note: If you are running Windows Vista, you can disable the sidebar there as well. To disable them, simply open up Control Panel and type “features” into the search box. 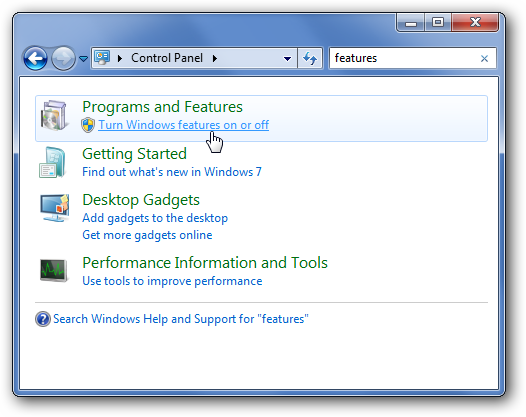 Find the link for “Turn Windows features on or off” and open it. 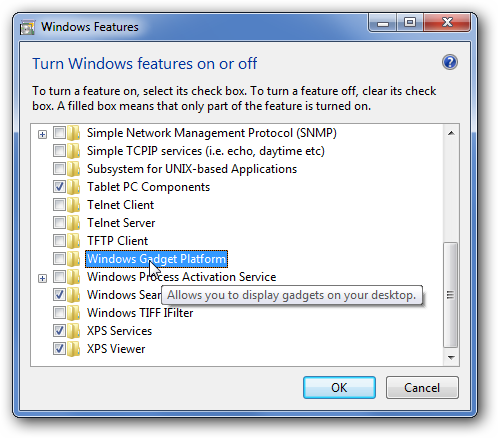 Remove the checkbox from Windows Gadget Platform, click the OK button and restart your computer when it’s all done. And there won’t be any more gadgets laying around on your desktop.